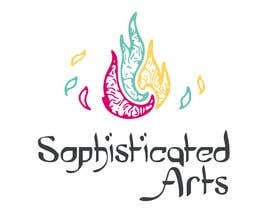 I need a logo designed we need a logo design for a workshop called "sophisticated arts" in Arabic and English. using the 3 colours (Tiffany, Magenta, and blonde)no background. 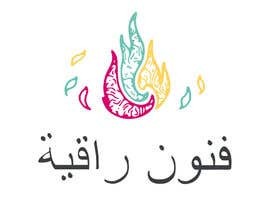 ( فنون راقية) . you can edit the font in Arabic. 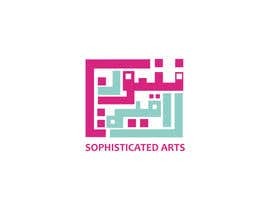 means sophisticated arts in Arabic. HamDES your design looks good but it's hard to read. JedBiliran I will leave your entry to the end of the contest. to clarify, I need the logo to be a bit feminine. 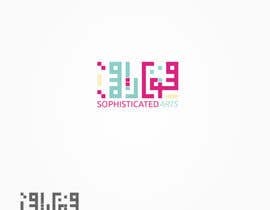 also I want " Sophisticated arts and فنون راقية" written on the same picture.